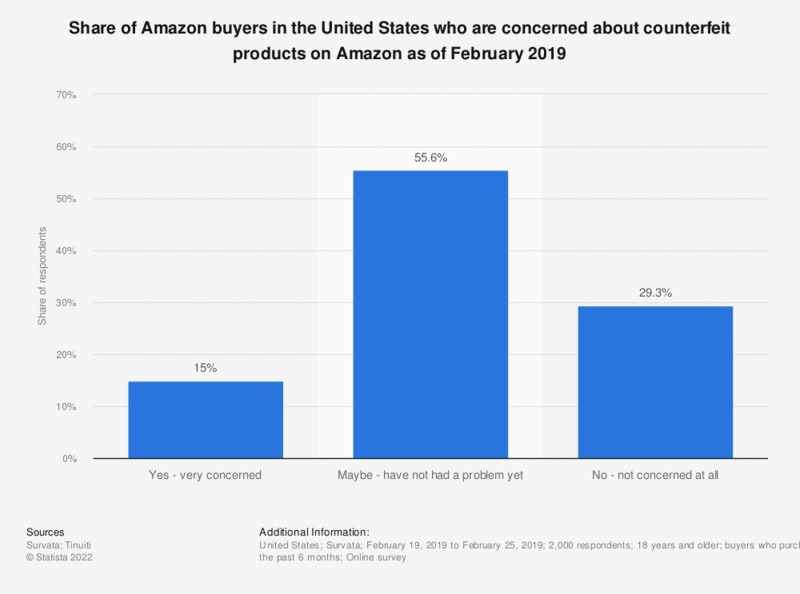 This statistic presents the share of Amazon buyers in the United States who are concerned about counterfeit products on Amazon as of February 2018. According to the findings, 56.9 percent of surveyed buyers stated that they had yet to experience a problem regarding this issue. buyers who purchased a product from Amazon in the past 6 months.